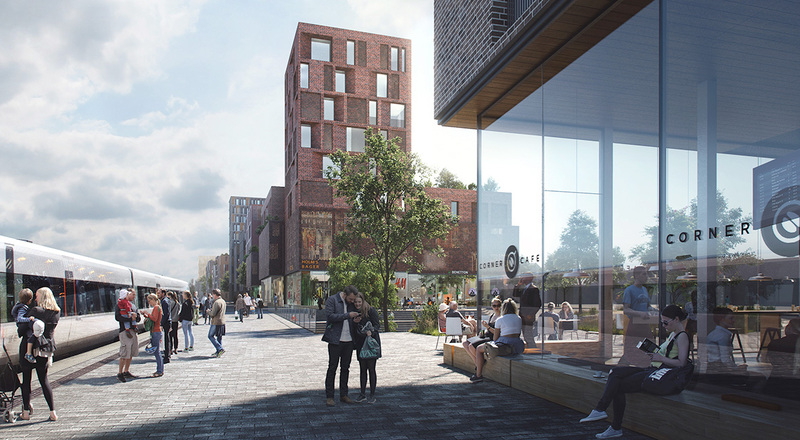 karres+brands together with EFFEKT, WTM, ARUP and ALECTIA have won the competition for the development and revitalization of the station area Ny Østergade in Roskilde (DK). 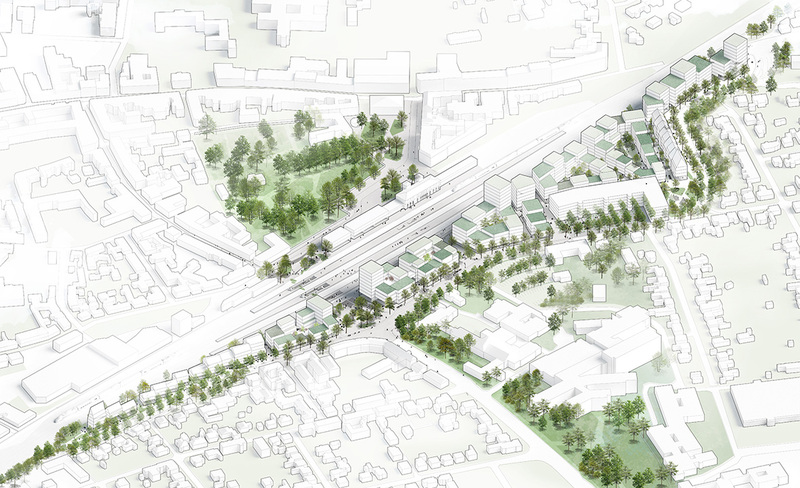 The winning design for the 3 hectares sized area includes 100.000 m² of mixed use development and new connections across the railroad tracks, reuniting the city and reinventing the station as an integral part of the city center. Roskilde station is the busiest rail hub in Denmark outside of Copenhagen used by more than 10 mio passengers a year. 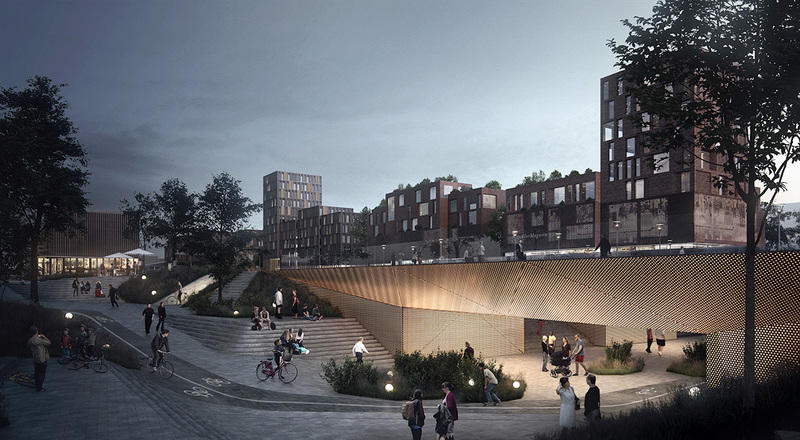 In 2015 Roskilde Municipality invited 7 teams to compete in a two stage competition for the complete redesign and redevelopment of the station area including the formerly leftover land areas along the railroad tracks that since its completion has acted as a barrier dividing the city in two parts. 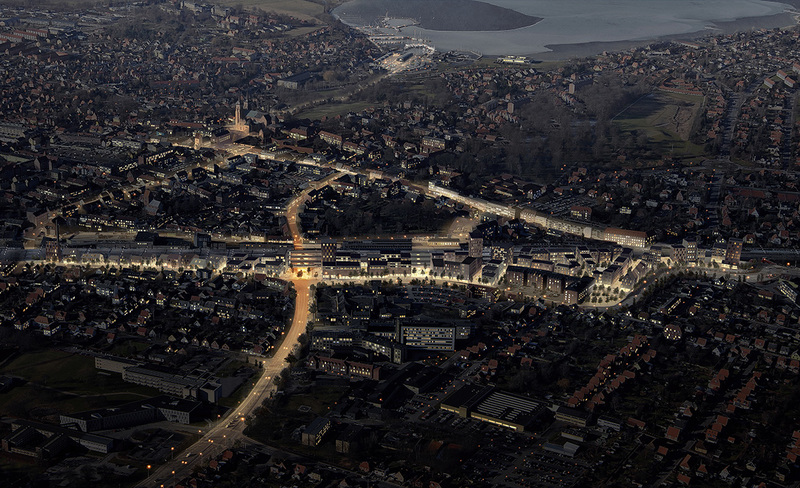 The solution is a design that re-connects the two parts of Roskilde divided by the railroad lines; The historic UNESCO world heritage center in the North including the Roskilde Cathedral and the more recent areas in the South dominated by industrial developments and contemporary culture such as the Roskilde Festival. 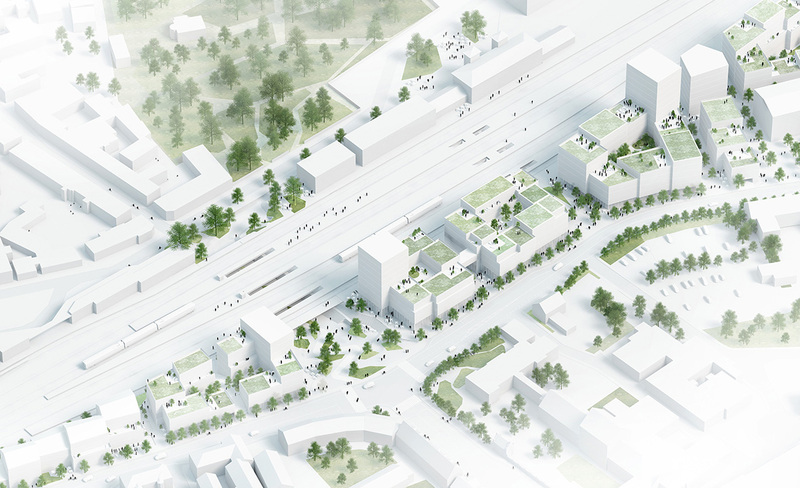 The new Roskilde Station Area will transform the station from a former barrier in the city to a unifying hub – merging urban life with infrastructure to the benefit of local residents, commuters and commercial interests. One of the key elements of the design is the integration of the station into the neighbouring city. This is achieved by transforming the railroad station into a large urban space. 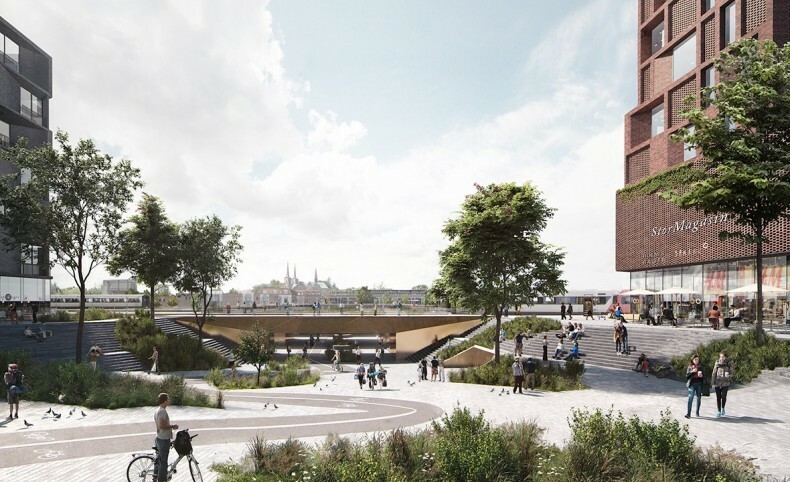 The new Roskilde Station Area will be one of the first examples of a complete integration of station, city and urban space. The design breaks with the traditional understanding of a station as a ticket office and a waiting room. Instead the infrastructure the physical surroundings will be fully integrated into the urban fabric. The integration of city and station goes all the way to the platform, where shops, cafés and restaurant are placed directly on the platforms. As soon as you get off the train, you will be in the middle of a vibrant city centre. 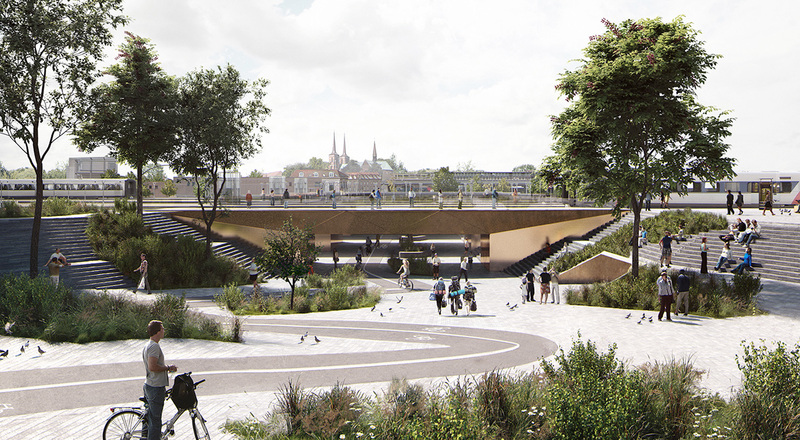 As an alternative to a traditional bridge or tunnel as the infrastructural link across the railway, the design team propose an open green urban space with the railroad tracks hovering above. The passage will serve as the main connection between the two parts of the city and will be lined with shops, cafés and service functions as well as informal areas for social interaction and recreation. This solution also leads to a more intuitive navigation throughout the station and provide a great vantage point of the city while solving the logistics of the 30.000 daily passengers more seamless and efficient. The strategy will transform the desolate parking area and industrial leftover land area into a new vibrant city centre. In addition to the infrastructural hub, the masterplan includes housing, offices, retail, a hotel, department store and a series of new connections and urban spaces. 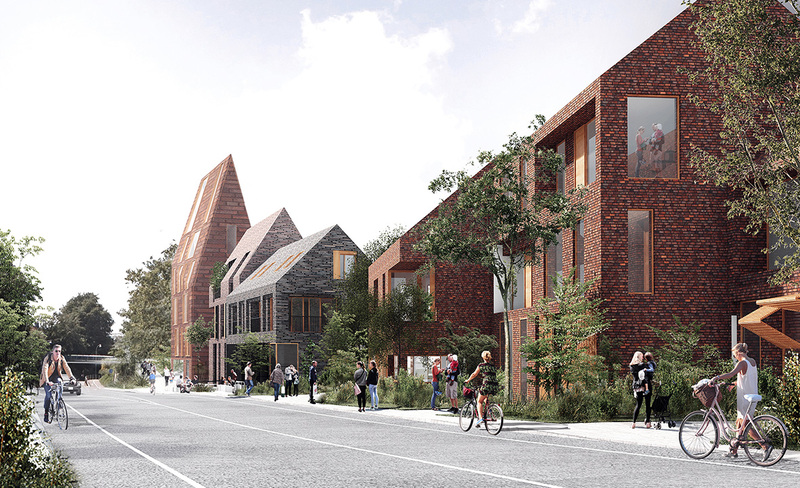 The new connections and urban spaces are linked to the existing urban spaces and support a variety of local neighbourhoods with their own individual qualities. The new area has a great variation of scale, density and program relating to the existing adjacent neighbourhoods and throughout the site public space is seamlessly integrated into the fabric. The main urban space is located with direct access to the railroad platform on one side and commercial functions on the other in reference to the historical market town. Please visit also the website of the Roskilde municipality for more information.